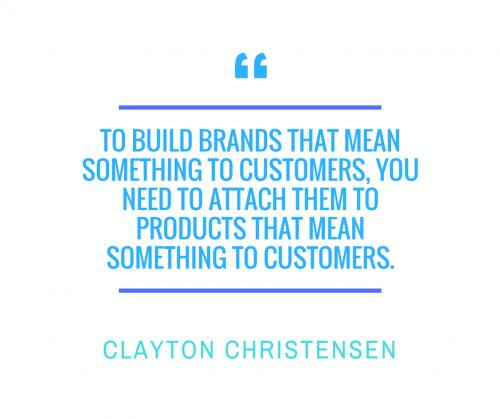 Branding is about providing your customers with what they want, rather than just what they need. Providing purely what customers need means you are trading in a commodity market where your expertise and the value you bring to a customer is not fully appreciated. We provide you with the information that you and your marketing team need to create the right collateral for your customers. Customers need to be the focal point of any rebrand – does it make it easier for the customer to get the job done. Some branding consultants avoid this aspect because it can be expensive and time consuming but it can be done very effectively within the day to day activities of a business. Having a customer culture that reflects this is also key and using the Jobs to be Done technique alongside behavioural insight and techniques like appreciative inquiry can identify how currently feel and how staff feel that they should feel. Inside out marketing is a key way to assess a brand and is highly cost effective but is prone to distortion and bias - Motorola found out that there were 21 ways in which a phone could be considered “easy to use” so adjectives needs to be grounded or explained. We can even test your brand value against key competitors using a simple branding questionnaire based on Keller’s principles of favourability, uniqueness and strength.